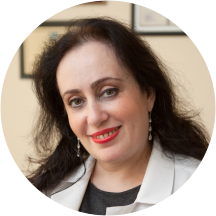 Dr.Stella Zavelyuk is an amazing doctor.She is very knowledgeable, lovely, kind. My child loves her. She is very promptin returning phonecalls. I would highly recommend her to anyone looking for a BEST pediatrician for their child. It’ s hard to find good doctors and I am happy to have found one and I know that my child is in safe hands. Dr.Stella Zavelyuk is an amazing doctor.She is very knowledgeable, lovely, kind. My child loves her. She is very prompt in returning phonecalls. I would highly recommend her to anyonelooking for a BEST pediatrician for their child. It’ s hard to find good doctors and I am happy to have found one and I know that my child is in safe hands. Clean and quite office, nice staff, Dr. answered all the questions. I was with a newborn so they gave us aprivate waiting area so we don't stay around any sick kids. Waitimg time wss no longer than 10 minutes. We were very pleased with the care. Clean and quite office, nice staff, Dr. answered all the questions. I was with a newborn so they gave us a private waiting area so we don't stay around any sickkids. Waitimg time wss no longer than 10 minutes. We were very pleased with the care. She was great and made my son and I feel comfortable. She knows what she’s doing. So let me start off by saying my outrage has nothing to do with Dr. Stella but her staff itself. I have encountered many problems with her staff but still see Dr. Stella due to my 18month old daughter loves herand feel so comfortable around her and honestly so do I..but now I have no choice to look for a new doctor due to the way her staff is just extremely unprofessional and only see children as a job. I am a first time mother of a baby girl Dr Stella has seen my baby since she was 2 days old and is now going to be 2 in February. So I am absolutely hurt by the situation. Today I called the office to make an appointment for my daughter. I was put on hold like always for more than 20 minutes like always. Trust me if they tell you to hold hang up and call back THEY WILL FORGET ABOUT YOU EVERYTIME. So I call back five times after repeatedly getting hung up on. Finally on the phone with what this office calls a receptionist and I was nice as can be but concerned about a bad rash my daughter has broken out that is all over her back and stomach. Some look like hives by looking on the internet but looking on the internet just scares everyone more but anyway I explain this to this horrible receptionist and with no emotion and rude and quickly says to me oh well we are very busy can you come in 2 weeks. I paused and almost had a canary and flipped out on this girl. Was she serious? So I say I can't wait for that what is wrong with you and recommends me to a place that isn't even a pediatrician. Ok so I call this new doctor and she is appauld at the fact that Dr Stella receptionist could turn away and 18 month that her office has seen since she was 2days old and tell me there too busy. I wish I could sue these people. How dare she let an 18 month old who loves her doctor go to a stranger. She isn't an adult and can't explain what is wrong. Even speaking to my mother growing up my pediatrician was always busy but never turned down a child always saw me and my brothers same day even for a cough, even when we were teenagers!!! Dr Stella will hear from me about her staff and hope she understands my outrage and can see my daughter immediately. Hope this helps anyone that maybe having a great Dr like Stella will still force you out the door with a unprofessional staff !!! Dr Zavelyuk has been my son's pediatrician for quite some time now. I found her through ZocDoc and have not regretted meeting her since!!!! She is so nice, friendly, thorough, knowledgeable and caring. My son and I are so comfortable withher. Whenever he doesnt feel well, I call and she would try her best to squeeze us in for an appt. the girls at the front desk is always helpful and friendly. Ive never had an issue and will continue to see Dr Zavelyuk. I took my son he can get a physical form filled out for his school and Dr. Stella is the best. you never have to sit in her waiting room for over several hours wait long to be seen. she talksto you the parent in a very respectful and understanding manner so does her staff. needless to say she will be my son doctor until the day she retires or he out grows her lol which ever comes first. Amazing first experience. The wait was very short and the doctor is so nurturing and motherly with the babies. She is very knowledgeable and informative. She takes her time explaining which is great because there is a lot of information toabsorb especially when it comes to a newborn. I am so happy i found her!!! The office is super clean and the atmosphere is friendly/professional. Our daughter has had a myriad of health issues and we'd been to 7 other pediatricians before Dr. Stella. She was our doctor for 4 years before we left NY. We would drive from Westchester county to see her. She is,without question, the most knowledgeable, open-minded, reliable, and trustworthy doctor we've ever been to. We would undoubtedly recommend her to anyone who asks. We had to move to Florida, but we are contemplating flying to NY for visits, just to keep her. I absolutely love Dr Stella. She is very knowledgably, I never feel rushed, her staff is very friendly. She has become my daughters regular Pediatrician. I can't say enough great things about her. Doctor and her office staff are awesome as always. Very friendly people and nice atmosphere. Dr. Stella Zavelyuk is a very good at what she does and she takes the time to explain anything you may ask her. She is awesome! I took to her 2kids and she was very professional, knowlegable, and very nice to kids and to me. I fall in love with this office! Recommended her to every parent. my visit was very informative, i felt very comfortable talking with the dr. I never thought I could find such a great doctor for my son best of all you can actually talk to her over the phone unlike his doctors at downstate medical center. All I can say is she's great. It was great! She took her time in getting to know my son and his medical history. She works very well with children. excellent doctor, nice and polite, friendly with kids. She was very attentive, explained everything in details, was concerned and listened to my thoughts and concerns.